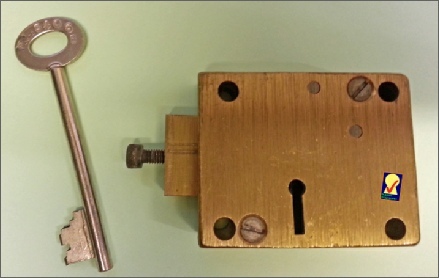 Secure Safes - Ground Safe replacement lock. Secure Safes of Coventry Ltd, once a popular under floor safe brand but now obsolete and is part of our refurbishment programme. 7 levers, Case size: 63 x 50mm, Backset: 28mm. Bolt head drilled & tapped for live relocker. This items is now obsolete/discontinued and is part of our refurbishment programme. Call for availability and more details.